Queen's University has appointed Dr Simon Doherty and Professor Eric Morgan to the new roles of Senior Lecturer in Animal Health and Professor of Veterinary Parasitology, respectively, at their world-leading Global Research Institute, the Institute for Global Food Security (IGFS). At a time when the world’s population is growing at its fastest ever rate, food security is a major global challenge. The IGFS at Queen’s plays a major role in delivering safe, sustainable and authentic food to the world’s population, and has become globally recognised for its excellence in research. Animal health is vitally important for food security, and challenges in this area are increasing as a result of climate change, drug resistance and environmental concerns. Veterinary science is delivering solutions, including tools to better predict disease threats and to detect and manage them before they become a global food security issue. Both veterinary surgeons by background, the appointments reflect the University’s commitment to further grow the Institute by continuing to recruit high-impact researchers and multi-disciplinary scientists who will help expand the portfolio of world-class undergraduate and postgraduate courses offered by Queen’s. Dr Doherty and Professor Morgan will lead on the development of innovative curricula in parasitology and veterinary biosciences. They will draw on existing expertise within the Institute and build capacity through strategic alliances with other world-leading universities, research institutes, and stakeholders, both in the local industry and in the global agri-tech sector. Dr Doherty brings global animal health industry experience gained during a three year consultancy as the Animal Science and Aquaculture Specialist for the UK Government Department for International Trade. He has worked in production animal veterinary practice in Scotland and Northern Ireland, and gained experience in the research environment through his previous role at the Agri-Food and Biosciences Institute. A past-president of the North of Ireland Veterinary Association, Dr Doherty is currently a vice-president of the British Veterinary Association (BVA). He is also a trustee of the BVA Animal Welfare Foundation and is a certified aquaculture veterinarian with the World Aquaculture Veterinary Medical Association. Commenting on his appointment, Dr Doherty said: “I very much look forward to committing my energy, drive and enthusiasm to leading the further development of Queen’s Institute for Global Food Security as a world-class Global Research Institute with real regional impact. Professor Eric Morgan joins Queen’s from Bristol Veterinary School, where he spent fifteen years teaching parasitology on the veterinary curriculum and developing world-leading research on the epidemiology of parasitic infections in livestock, companion and wild animals. Speaking about his new role, Professor Morgan said: “The top class research conducted at the Institute for Global Food Security already helps livestock farmers in Northern Ireland to maintain healthy, productive animals in the face of multiple threats. Commenting on the appointments, Director of the Institute, Professor Nigel Scollan added: “Both Simon and Eric have an international reputation of academic excellence and have both held major strategic and leadership roles in the field of veterinary science. The IGFS is a Global Research Institute within Queen’s University. Its founder, Professor Chris Elliott, conducted the UK Government’s 2013 inquiry into the horsemeat scandal. 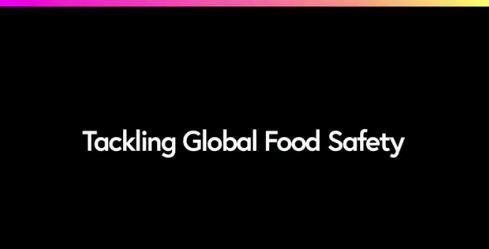 The Institute is at the forefront of addressing one of the greatest global challenges – how to ensure the safety of our food and feed a growing population with integrity, amid issues like climate change, pollution, food fraud and food terrorism. Find out more via the video link below. Media inquiries to Sian Devlin at Queen’s Communications Office, telephone: +44 (0)28 9097 5840.